Save the dates! Please mark your calendar our late summer Pizza on the Farm events. We hope to host you at the farm! Join us at a Beer Release Party for Summer Kolsch! See below for details on how you can support another family business (and support local agriculture, too!). Late-July into early-August is the time for harvesting alliums, including shallots, onions, and garlic. 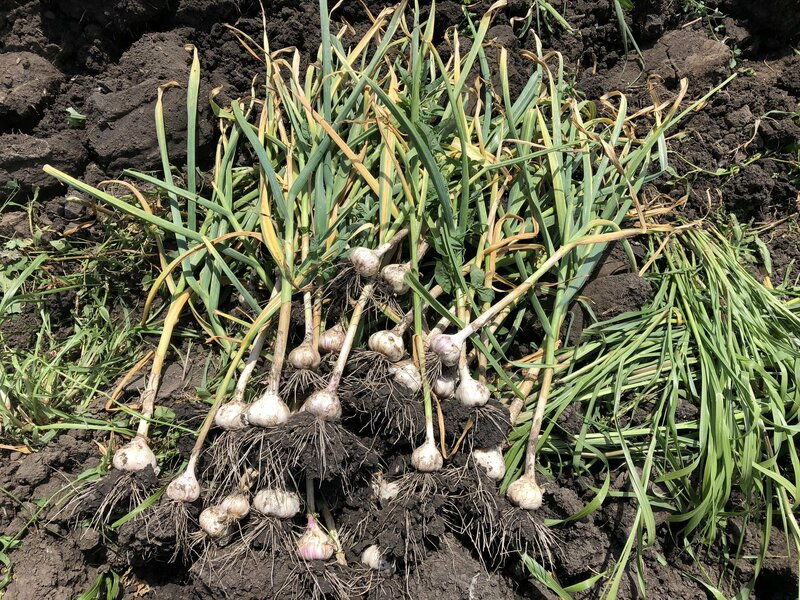 Our early spring planting of the tiny allium plants (pictured in the shallot section below) is a multi-day, detailed project to make sure every plant gets the water, space and warmth that it needs to grow into a bulb. When we look at those plants now, they stand tall, their tops are drying and are nearly jumping out of the soil, ready for harvest! 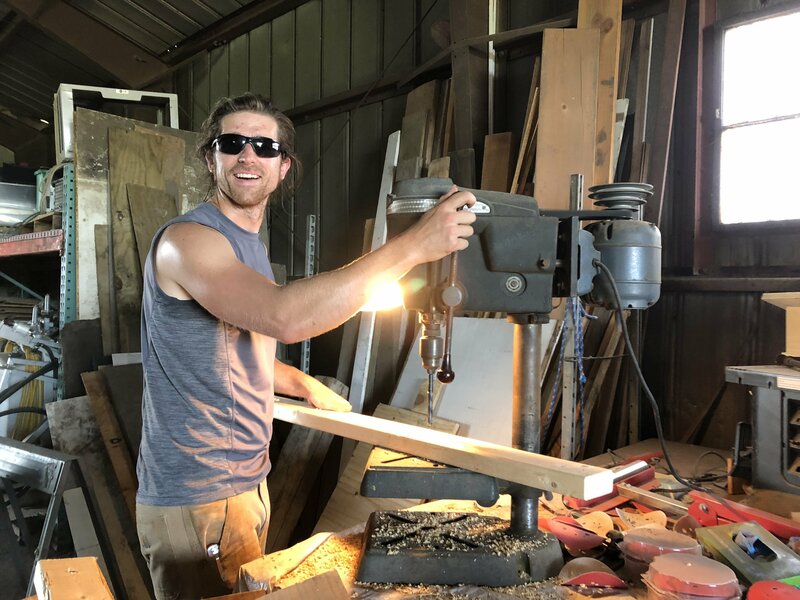 So Jeff and Tyler set to work to develop a new and improved design for our "curing chamber" this year. This allows for the garlic to lay flat, with plenty of airflow above and below, to dry or "cure" the alliums. This curing process allows them to develop their outer protective skins and store into the winter. 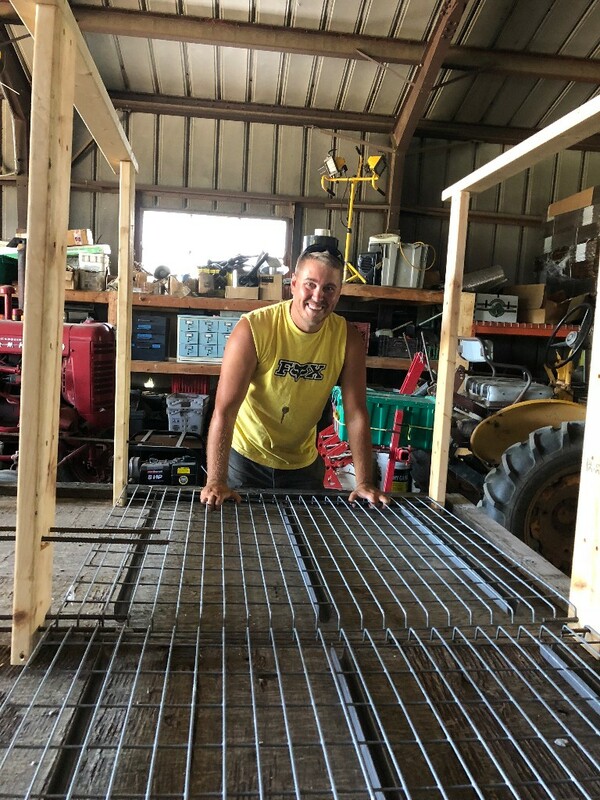 With Ryan's carpentry skills, part of the team built the structure as the other part worked in the field to pull in the harvest any chance of rain. Jeff carefully drives the digger just beneath the garlic bulbs to loosen the soil and allow for their harvest. 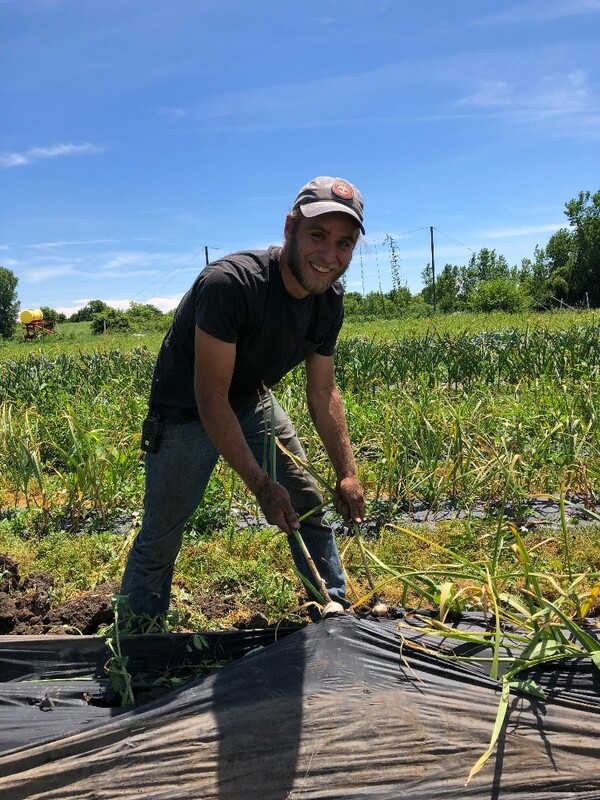 With thousands of garlic heads being harvested, Mark helps to coordinate all of the hands on deck to carefully lift, clean and count the garlic. 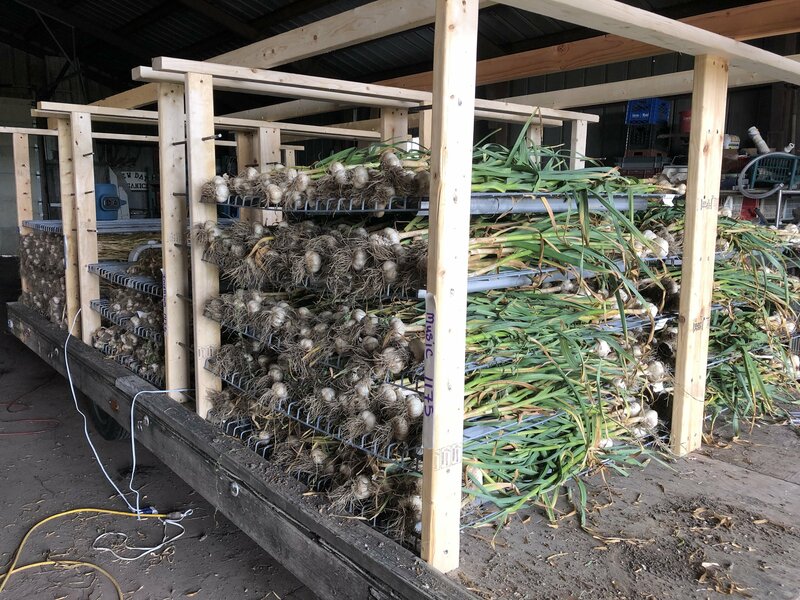 Once the garlic is dried, our team cleans the remaining dirt, trim the ends, and places into bins based on variety. 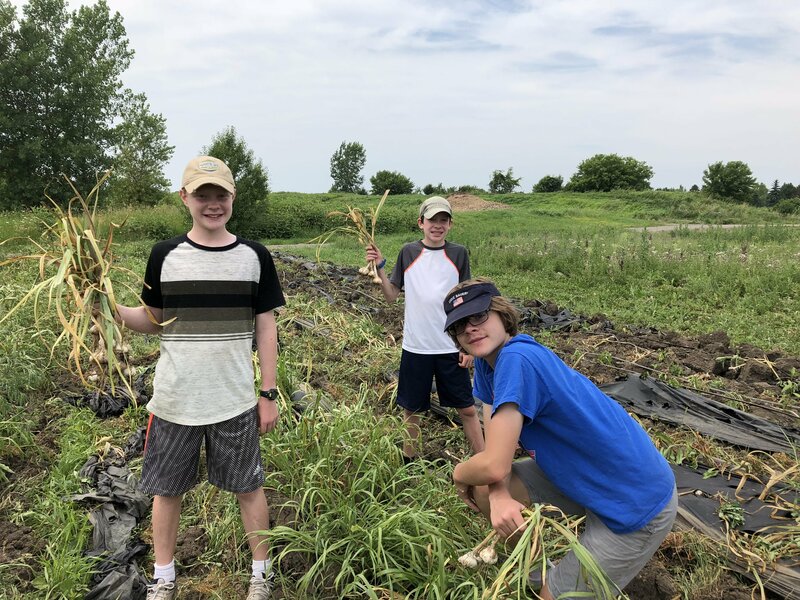 We look forward to sharing this harvest for you when its ready! 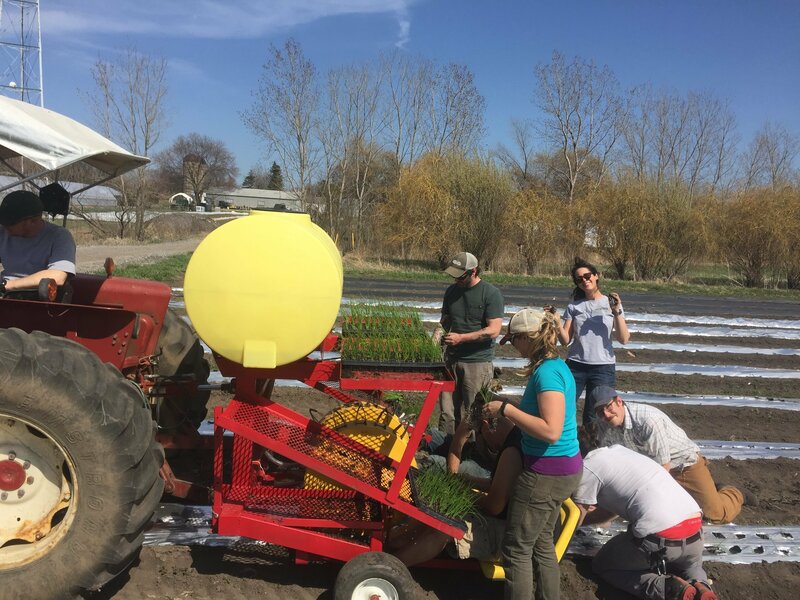 Our farming journey began in 2006 when we planted seeds into the soil of Prairie Crossing Farm as a part of the farm business incubator program (Farm Business Development Center or FBDC) of the Liberty Prairie Foundation. 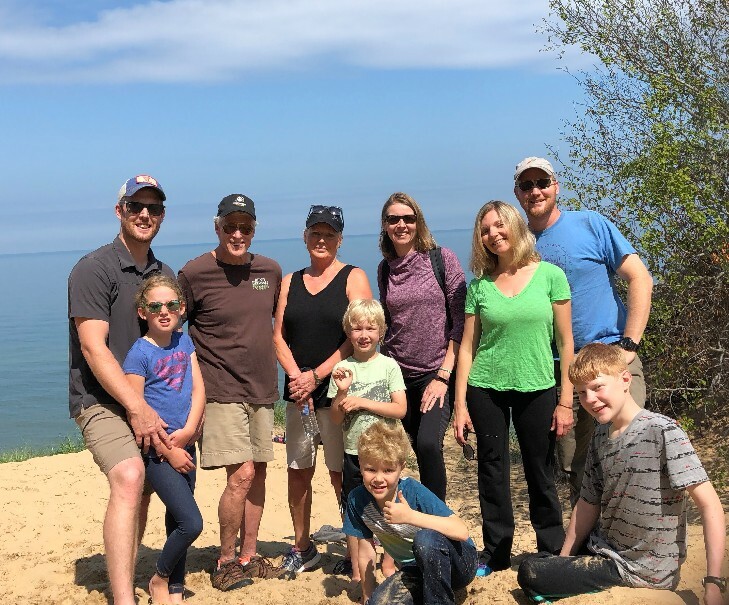 In our experience, we found a business incubator allowed us to make measured steps forward, take affordable risks, experience mistakes and learn with the reassurance of our mentors at our side. Now Jon, Jeff’s brother, is part of a unique brewery business incubator where he's learning the brewing business alongside a mentor brewery, Skeleton Key Brewery, in Woodridge, IL. He culminates his program with his signature German Kolsch recipe, called Flitterwochen, brewed, fermented and launched at Skeleton Key. We couldn't be more thrilled for him and our two families aspire for the farm and brewery to work together someday. In the meantime, we welcome you to try his kolsch at this Friday's Release Gathering at Skeleton Key starting at 5pm. For each beer sold, Jon and Skeleton Key will donate a portion of the sales to Liberty Prairie Foundation's farmer training program to support ongoing farmer development. Cheers to a great cause! We're happy to welcome the start of sweet corn season. 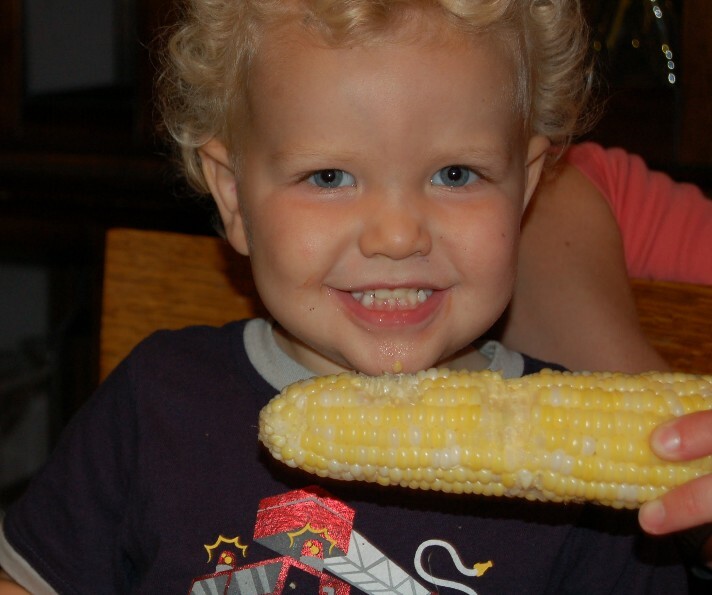 I couldn't help smile at this old picture of our youngest enjoying the first sweet corn harvest years ago. This year's sweet corn harvest is earlier than expected due to the recent warmth. The sweet corn in this week's CSA shares comes from a nearby farm, Didier Farm, located in Prairie View, IL. While their sweet corn is not organic, it is local and delicious. This week's vegetables shares will feature our fresh shallots. Shallots are closely related to onions, but often have a sweeter, richer flavor that is extremely versatile in cooking. I enjoy using fresh shallots in homemade vinaigrettes, on the grill next to our zucchini and slowing simmering with butter to make a shallot butter glaze for summer vegetables. Fresh shallots are best stored in your refrigerator and used within a couple of weeks. 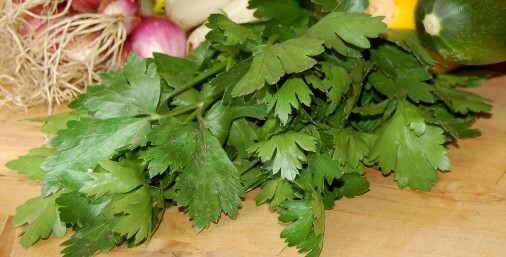 make parsley butter by adding minced parsley to softened butter. use on broiled fish or steamed vegetables. Use a dehydrator to make dried blueberries. The flavor is outstanding and they are delicious when added to simple salad with goat cheese and almonds. Freeze. I often dump blueberries (and any other berries in my fridge) into small ziplock with some greens (e.g., beet greens). Then, I stow the whole package in the freezer and dump into my blender for a quick smoothie later. Make vinegar. A blueberry infused vinegar is a delicious addition to chicken, pork or a salad dressing. Here's a basil and blueberry vinegar recipe in case you still have basil around from last week's shares! Next Week's Harvest (our best guess)... peppers, green beans, blueberries, zucchini, cilantro, kohlrabi, plums and more!